At Imperial Body Shop, Inc, we take great pride in our work putting a great deal of effort into satisfying and maintaining our reputation in the Auto Collison Repair industry. After you have reviewed the information we have compiled, we do welcome your comments. We are certainly willing to discuss any suggestions you might have that would enable us to more fully satisfy your requirements. 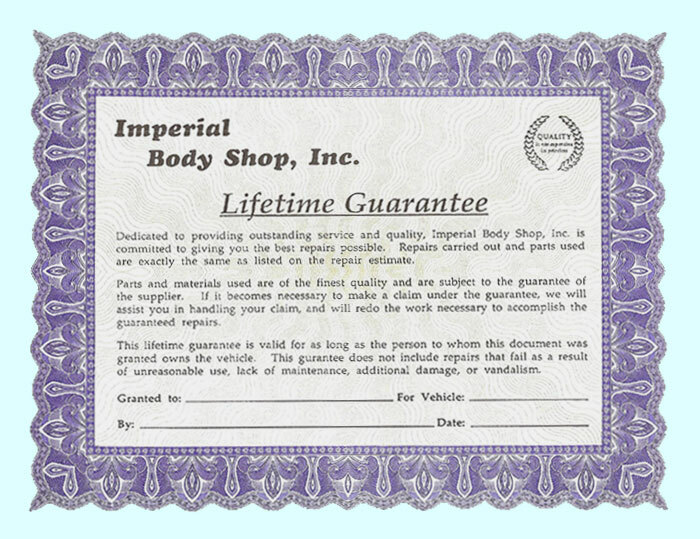 We appreciate your taking the time to consider Imperial Body Shop, Inc. for your direct repair program. Anaheim, Buena Park, Fullerton, Hacienda Heights, Industry, La Habra, La Mirada, La Palma, Orange, Placentia, Puente Hills, Rowland Heights, Walnut, Whittier, Yorba Linda.